Here she describes the various physical activities she incorporates into the learning day. 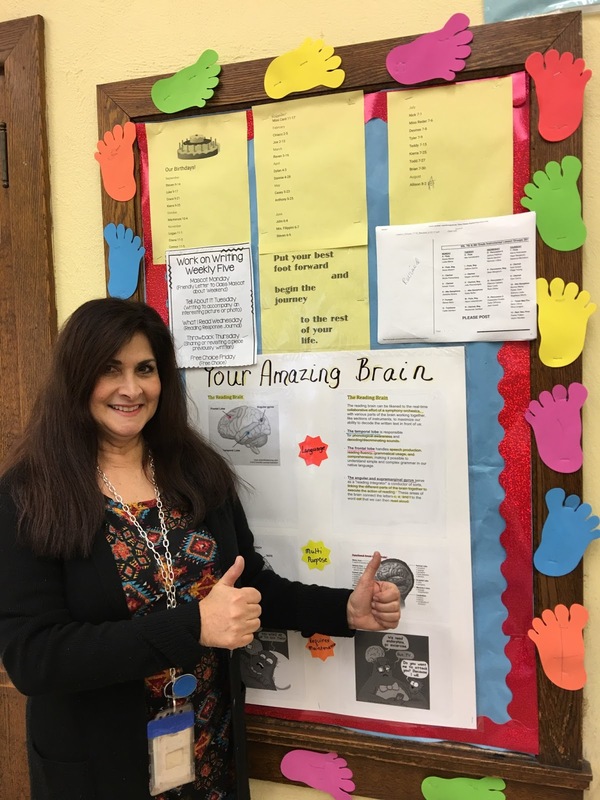 Since completing my programs in Brain-Based Teaching (BrainSMART), I have incorporated more movement as part of the class activity in order to stimulate a more productive learning environment. Giving students opportunities to stand up, move, and stretch at crucial learning times during the school day prepares them for greater levels of attention during a lesson and recall afterwards. It also allows those who need down time to break away from the structure of the working classroom. To check for initial engagement and understanding in my resource and LLD settings, I use the “thumbs up/thumbs down” tool to check for engagement. This allows me to see if students are paying attention. Once the student is engaged, I can then move on to more active Brainobics to stimulate the drive for attention. Some students have my classes back-to-back, and therefore I insist that they have some time for locomotive and kinesthetic activities. Depending on the group, I vary from BrainObics, jumping jacks and other stretching activities, to games like Simon Says. The students actually request to play Simon Says! The stimulation prepares them for greater levels of attention during a lesson and recall afterwards.